Last year was a pretty productive one for me in terms of dolly things. I made at least 50 doll dresses in this style, added as many members to my doll family, made 10 doll quilts, furnished about 10 doll rooms, and did a surprising number of re-roots. 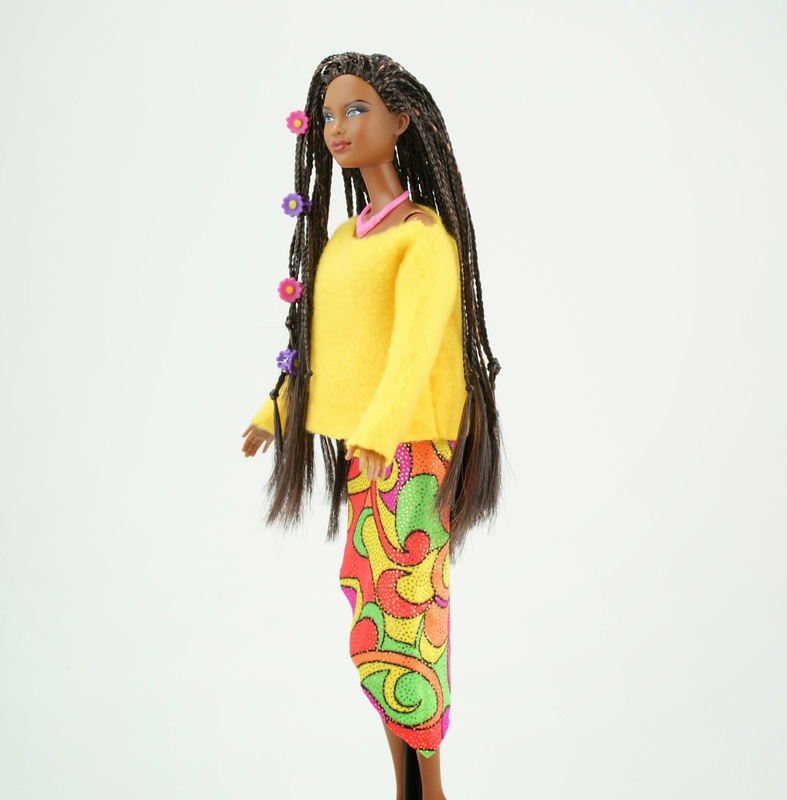 I first started re-rooting and customizing dolls in 2000, after reading the book Fashion Doll Makeovers by Jim Faraone, but I hadn't done any in several years because of the lack of quality doll hair. Then I was inspired by two things. The first was A Doll Affinity, run by the very talented Cat. Her work is amazing! 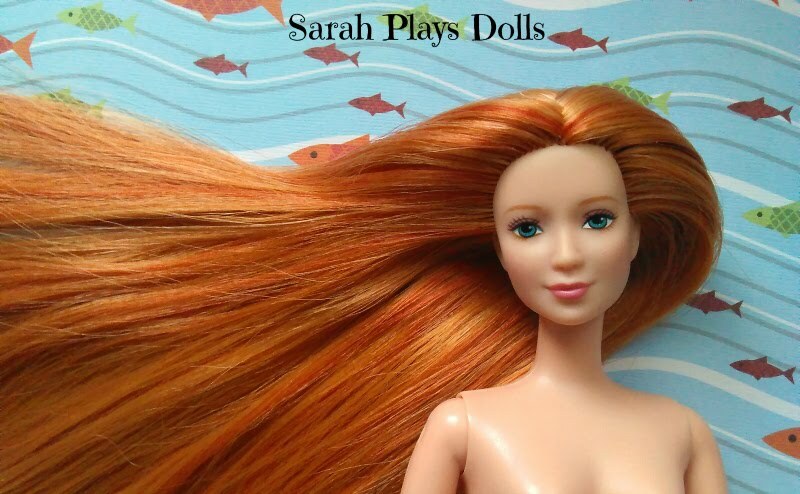 The next was Restore Doll, which offers gorgeous saran doll hair in every color imaginable. I ended up doing 20 re-roots... and counting. Thanks to Uncle John and his camera, I'm going to share one of my recent re-roots today. One of my favorites, actually. This is Timberly, named after a character in one of my favorite 90's cartoons. 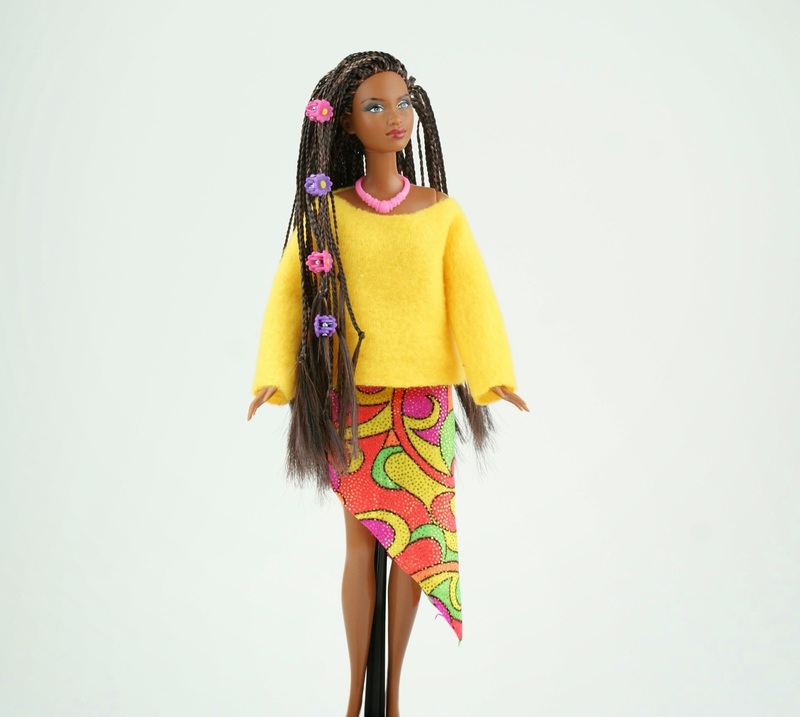 She's modeling a skirt and sweater I made, some little hair clips from Meijer, and a Mattel necklace. 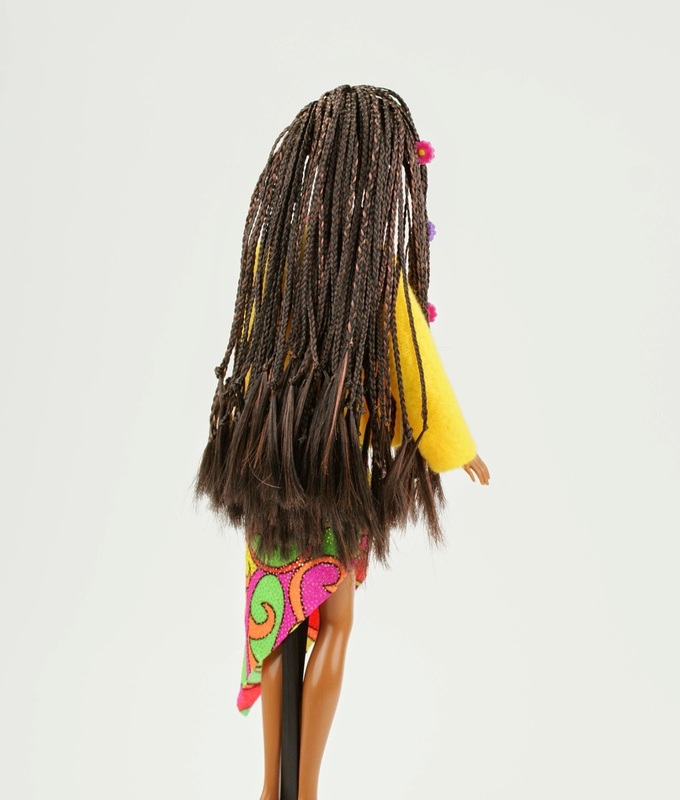 When I bought Timberly off of Ebay, she had black hair in a cute curly ponytail. Unfortunately, her head was also full of glue, which was seeping into her hair (thank you very much, Mattel). Since there doesn't seem to be a way to remove the glue by itself, it was re-root time. In the end, I'm glad I gave her new hair. 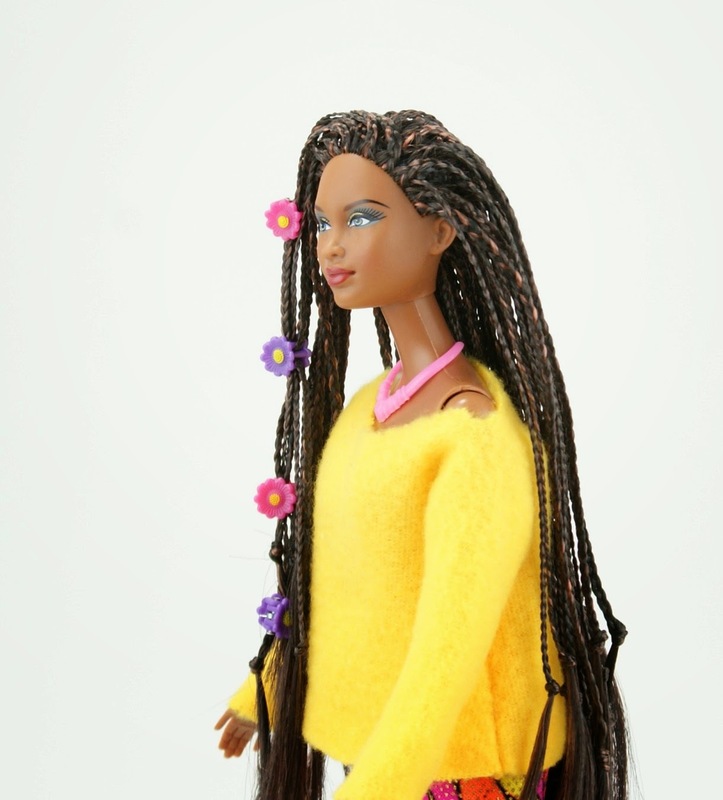 I like the brown with the caramel highlights, and I am absolutely in love with the micro-braids. I love the look, I love the feel, and I love styling them in different ways. Timberly is pretty happy with them, too. To finish the braids, I tied each one into a knot. I didn't trim the tails off of the knots because I liked the way they looked all together, but I've trimmed them on other dolls, and it looks nice like this, too -- like a bunch of tiny tassels. I'm going to experiment with really long tails, too. Maybe with shorter braids? Here's a closeup view of the back. Each braid is about three hair plugs thick. Here's a closer side view. Did I mention how much I love those little clips? Timberly isn't the first doll of mine to get tiny little braids, but she's definitely the first to get a whole head full of them. She won't be the last. I'm micro-braiding the hair of Mia, one of my Idea Store dolls, and also re-rooting a Salvation Army Barbie, Veronika, with bright red braids. After that, I'd love to do one with beads (a size 6 or 8 seed bead would be perfect). I have as many ideas as I have dolls. Can't wait to show off more re-roots! And more doll clothing, too. Go Sarah! I have not re-rooted any dolls to date. I always thought I'd get tired midway and stop. Looking forward to seeing your other re-roots. Thanks! Timberly thanks you, too. I actually used regular unbraided hair and then braided it myself. This was very, very time-consuming, and I ended up doing the braids in half-hour sessions to avoid burnout. I think I'd like pre-braided strangle a whoooole lot. Wow, your braided hairstyle is really gorgeous. I don't think I have the patience for this, but bravo, you have such a talent for this!!!! She's beautiful! I love braids!